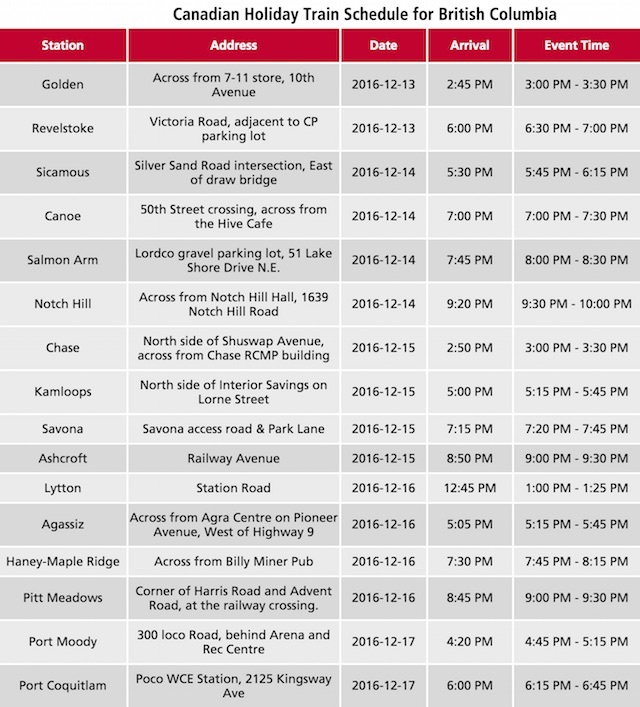 ​​18th edition of the CP Holiday Train is ready to support communities and raise awareness​ across Canada as it sets out to visit 150 communities and host free events in November and December. 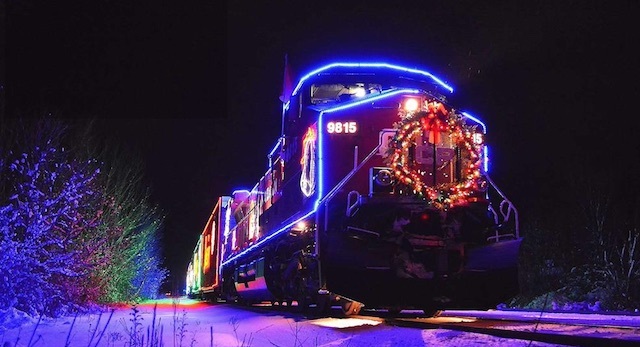 There are 16 stops in BC, from Revelstoke to Port Moody, with each featuring an opportunity to view the impressive train-long light displays and enjoy a free concert. The musical guests for this final stretch are Dallas Smith, Odds, and Jonathan Roy. When the train arrives it will pull to a safe stop in front of the crowd in attendance. The stage door lowers and the band opens with its first song. After that, a brief presentation takes place with local food bank officials and other dignitaries. Once complete, the band resumes performing a mix of traditional and modern holiday-themed songs. The whole event lasts about 30 minutes, and once the band plays its farewell show, the boxcar door closes, and the train slips off into the night on its way to the next stop. The spectacular event is free to attend, but you are encouraged to bring healthy donations for the food bank. Every pound of food and dollar raised at each stop stays with the local food bank to help feed those in need in that community. 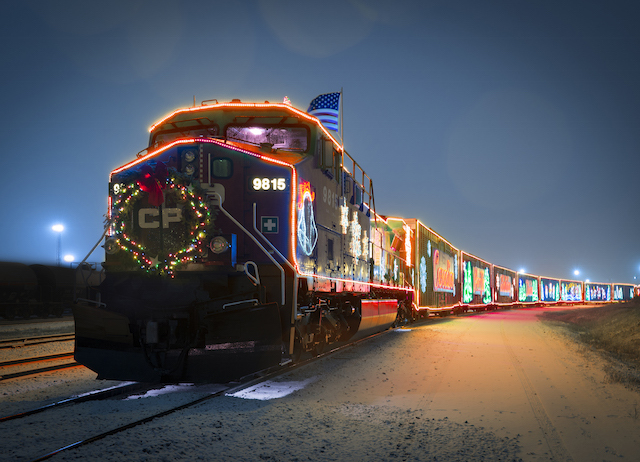 Follow the CP Holiday Train on Facebook, Instagram, and Twitter to see its full schedule as the cross-country journey comes to an end out west.